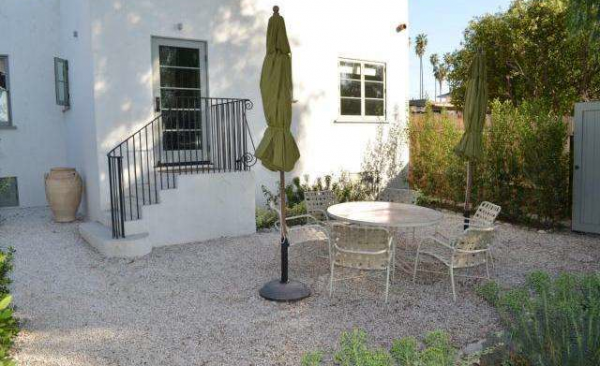 Just a few blocks North of Sunset Blvd., not far from Echo Park Lake and Elysian Park, sits 1521 Parmer Avenue. 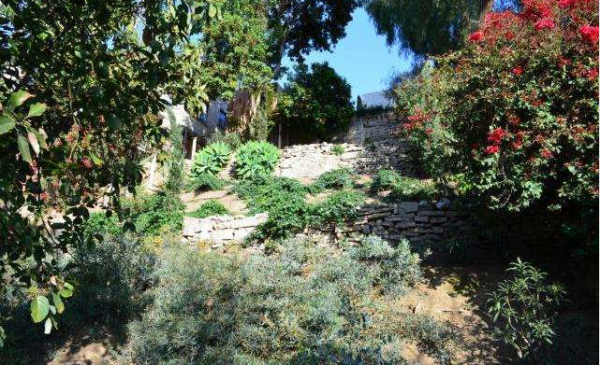 Certainly hovering towards the higher end of Echo Park prices at $849,000, this 3 bedroom, 2 bath Spanish-style home just might be worth a look. 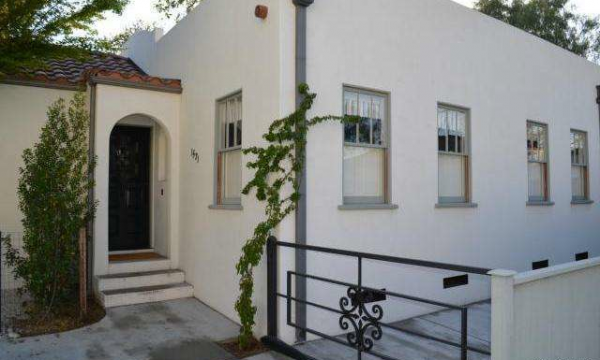 Originally built in 1926, many modern updates abound. The family room is spacious and warm with hardwood floors, built-ins, and a brick fireplace. Certainly nothing to complain about there. 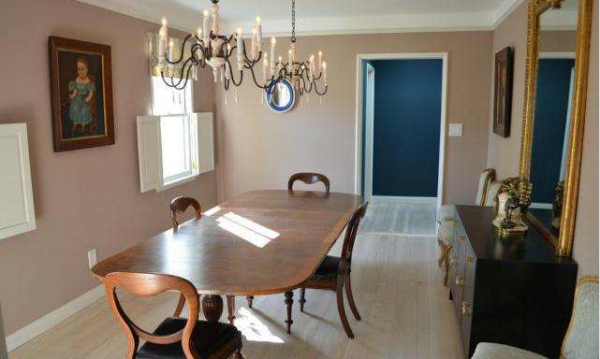 I can always appreciate a lovely formal dining room, which this certainly is. I am a big fan of the double chandelier action going on, though I’ll never understand a carpeted dining area. Of course, it’s been pointed out that I may have messy eating habits. I’ll best describe this kitchen as French country chic. I think that works. Regardless, I like how it comes together. 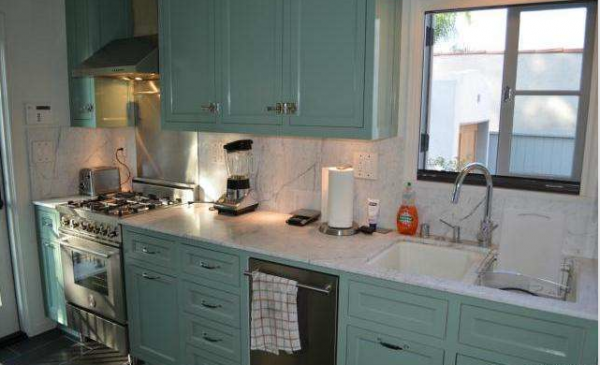 The cadet blue cabinets (you don’t want to know how long I spent looking up the correct color name) contrast beautifully with the white marble countertops and top-of-the-line stainless steel appliances. 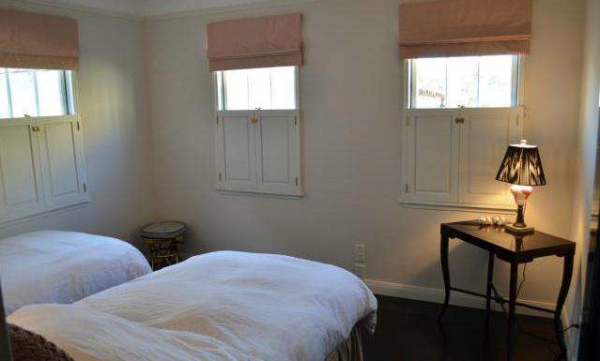 If you are concerned by the lack of a master bedroom photo, don’t be. It is a lovely, adequately-sized master, but what truly stood out for me were café shutters of the 2 smaller guest bedrooms. Another place with noticeably modern updates are the bathrooms. 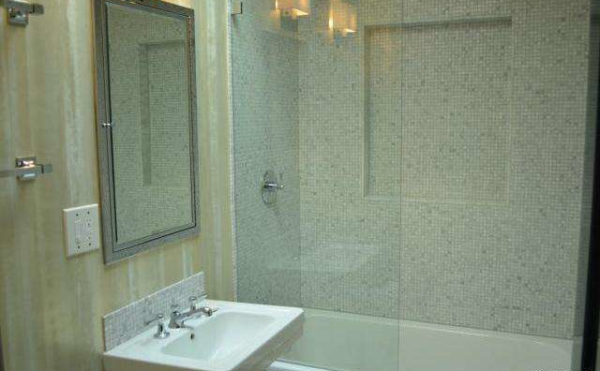 Both feature Waterworks fixtures, copious amounts of tile, and contemporary flare. Heading out back there is a fair amount of relatively private patio space for entertaining and great views of the Hollywood Hills (not pictured). The large garden contains a plethora of both staggered terraces and various drought-resistant plants. If you are looking for a Spanish-style home with traditional Spanish-style features, this may not be that, but if you want something with some clean modern touches, 1521 Parmer could be the home for you. 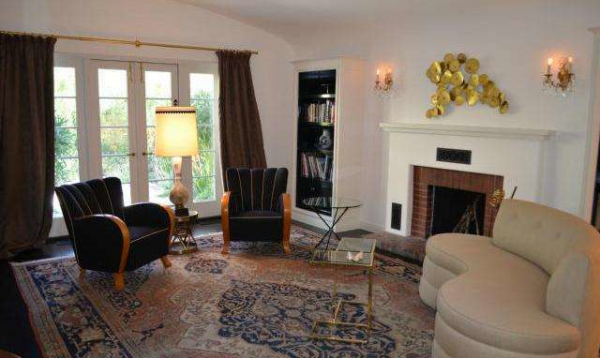 For a private showing please contact Jovelle Schaffer at (213) 718-1110. Mike Glickman has the listing.